Cory Monteith’s death was devastating for everyone involved, including family, friends, and co-workers. Several of his Glee co-stars have already taken to the Internet to write loving tributes to their friend and co-star, and you can tell that Cory was someone who was loved and cherished, and will be greatly missed by everyone he knew. 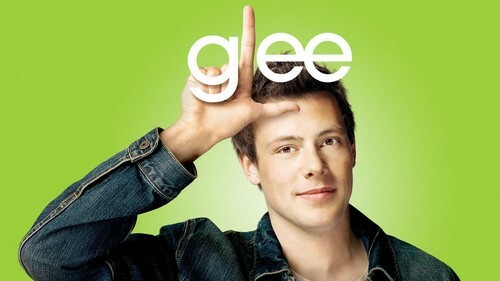 The death was certainly a shock to everyone who knew Cory, and it’s thrown the fate of Fox’s ‘Glee’ into question. Just months ago, the cast of Glee was posing for promotional shots for Season 5 and according to reports, Monteith and his co-stars were set to start filming episodes for the show in August. Several other experts also add that whatever the network decides, they will have to make sure to carry it out very carefully because Cory was so well liked and preserving his memory is incredibly important to his fans. To be honest, I’m not even sure how I feel about the show continuing. Glee’s always been one of those shows that can never really be truly sad, and even the school shooting episode – while attempting to bring gravitas – ended up falling flat. I really, truly hope that whatever they do, they put their all into it and give a fitting tribute to Cory. There’s also the possibility of ‘Glee’ getting cancelled, but I don’t think the network executives would go for that. I can only imagine how the cast will continue with the series with the absence of one of their best friends and co-stars. Do you guys think Glee should continue, or get cancelled? And what do you think is the best way for the show to say goodbye to Finn? Let us know your thoughts in the comments.